FUJIFILM Corporation (President: Kenji Sukeno) has announced that it will release the “FUJINON LENS GF250mmF4 R LM OIS WR” lens for the Medium Format GFX system in May 2018. This lens is the first telephoto lens for GF lens series. It realizes high-resolution and rich bokeh by utilizing technologies applied in FUJINON Lenses, which are widely used in cinema and broadcast industry. It is ideal for shooting highly defined portrait, as well as landscape which emphasizes the model. Simultaneously, the company will release “FUJINON Teleconverter GF1.4X TC WR” to extend the focal length by 1.4 times, and the macro extension tubes “MCEX-18G” and “MCEX-45G” to expand the range of macro photography. 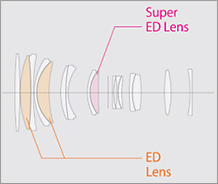 GF Lenses are exchangeable lenses for GFX Series medium format mirrorless digital cameras with large sensors (43.8×32.9mm). They are Fujifilm’s highest-grade lenses realizing high precision lens surface accuracy, and utilize Fujifilm’s superior optical design technology and production technology in order to achieve high-resolution and rich tone reproduction. The GF250mmF4 R LM OIS WR realizes the highest image quality with medium format sized sensors, an area approximately 1.7 times larger than 35mm format, in combination with Fujifilm’s unique color reproduction technology. Fujifilm has already released the “FUJIFILM GFX 50S”, the first camera in the “GFX Series,” as well as six “GF Lenses”. All of which have proved popular among professional photographers and photo enthusiasts, who praise the system for its ability to capture high levels of detail, giving the atmosphere a three-dimensional feel, and its compact, lightweight body for easy operation. The GF250mmF4 R LM OIS WR is a telephoto lens that achieves approximately 198mm in 35mm format equivalent, bringing together Fujifilm’s proprietary optical design technology and offers high resolving power for supporting further enhancement of image resolution in the future. The lens is capable of capturing the atmosphere of any scene through a combination of high-resolution performance and rich bokeh effect. Attaching the “GF1.4X TC WR”, a 1.4x teleconverter provides coverage for telephoto shooting up to approximately 277mm in 35mm format equivalent without any image quality deterioration. The lens is also equipped with the new focus pre-set function, which allows the photographer to instantly activate focus settings previously saved in the lens memory. 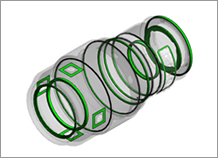 The use of a magnesium alloy lens barrel reduces the product’s weight. In addition, the lens is dust and weather resistant and capable of operating in temperatures down to -10°C, ensuring that this new lens will serve as a trusted partner for professional photographers. Thanks to the launch of new lenses “FUJINON LENS GF250mmF4 R LM OIS WR” and “FUJINON Teleconverter GF1.4X TC WR”, seventh and eighth lenses in the GF lens series, the shooting range of the GFX exchangeable lens system will greatly expand in the telephoto range. In addition, the macro extension tubes “MCEX-18G” and “MCEX-45”, which will be released simultaneously, can be connected to any GF lenses, expanding the macro photographic range. Photographers can be satisfied with GFX Series products with a new, expanded shooting range, offering more opportunities for photography. The lens’ functionality includes a focus range selector to enable faster autofocus speed by restricting focus range, focus pre-set function for memorizing focus settings previously set into the lens, and the focus control button located at the lens front to enable focus lock or autofocus. *An upgrade of the GFX50S firmware is required to operate the focus pre-set function and focus control buttons. The linear motor which drives the focus lenses achieves high-precision, silent, and fast autofocus operation. In addition, the lens also includes a new mechanism for fixing the linear motor position when turning the power off or playback to avoid unnecessary vibration. Fujifilm is simultaneously launching the 1.4x teleconverter (GF1.4X TC WR) which allows for telephoto shooting at a focal length of 350mm (approximately 277mm in 35mm format equivalent) while maintaining superior image quality. It will be ideal for shooting wild animals. Fujifilm has developed 18mm and 45mm macro extension tubes (MCEX-18G WR, MCEX-45G WR), expanding the range of macro photography. Connecting the macro extension tubes to any GF lens allows macro photographs to be taken at a higher magnification ratio. For example, connecting the GF120mmF4 R LM OIS WR Macro (half-macro) and the MCEX-45G makes it possible to take photographs with life size 1:1 macro. For detailed information, please refer to the following website. This entry was posted in Fujifilm GFX, Fujifilm GFX 50S and tagged Fuji 250mm, Fuji GFX, Fuji GFX 50S, Fuji GFX50S, Fuji Rumors, Fujifilm, Fujifilm 250mm, Fujifilm GFX, Fujifilm GFX 50S, Fujifilm GFX50S, Fujifilm Rumors, FujifilmRumors, Fujinon GF 250mm F4 R LM OIS WR, Fujinon GF250mm F4 R LM OIS WR, Fujirumors, GFX, GFX 50S, GFX50S, Medium Format, Super Full Frame. Bookmark the permalink. Trackbacks are closed, but you can post a comment.